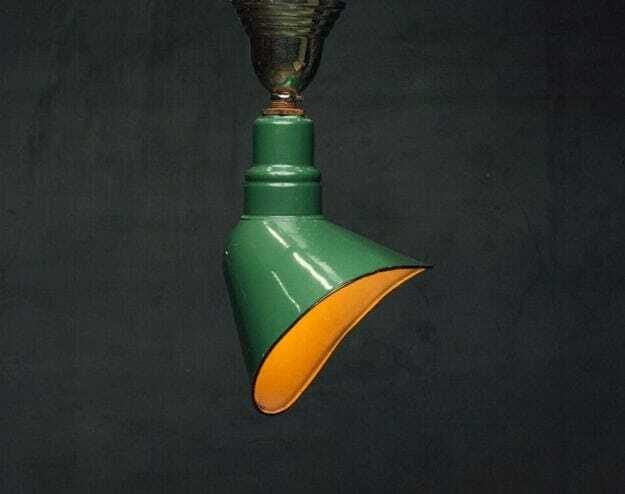 Green offset industrial enamel pendant. The angled silhouette shows off the white interior and spills light into the room. 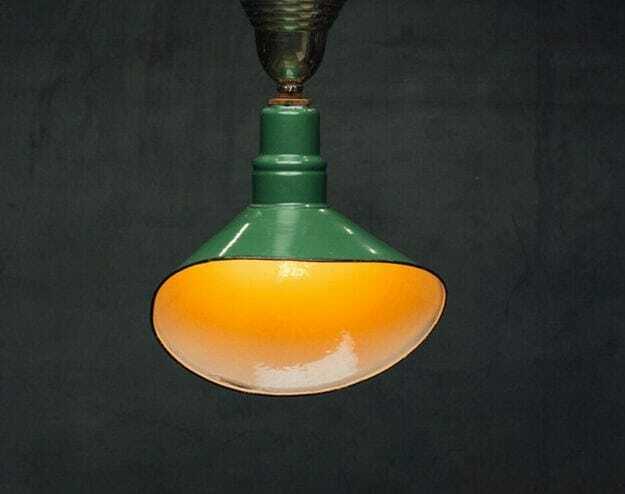 Fixtures like these were often found in factories during the ’30s and ’40s.